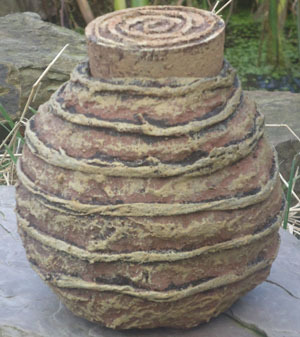 There is an embossed spiral shape winding around this vessel and a spiral on the top of the lid. It is painted with black, red and yellow clay pigments. Copyright © Beth Hughes, All Rights Reserved.